I generally steer clear of cult beauty products for fear that they just won't live up to the hype and I'll be left disappointed. May Lindstrom has a phenomenal number of beauty products to her name. As a former model she originally started making her skincare in her kitchen; she is a woman after my own heart as I love making avocado and honey face masks at home. The Problem Solver (£96) has been one such cult product that I have wanted to try. Its received absolutely rave reviews and is adored by industry insiders but the bitter cynic in me thinks it's just not possible for a product to be that great. It is after all just a face mask and priced at over ninety pounds it's a very expensive one. As time has gone on I've become inquisitive and relented, keen to give it a go. Resembling something from a lava field, this jet black, charcoal powder seems a strange and potent problem solver. On opening the jar it gives off a spicy exotic aroma, of antioxidant-rich raw cacao, bamboo charcoal, soil nutrients and exotic spices of Cinnamon and Cayenne. It's not like anything I have tried before as I've never tried a powder form face mask. Taking a spoonful of powder, it is bought to life with water which transforms it into a bubbly mouse; with a the additional brush it is easily applied to the face. 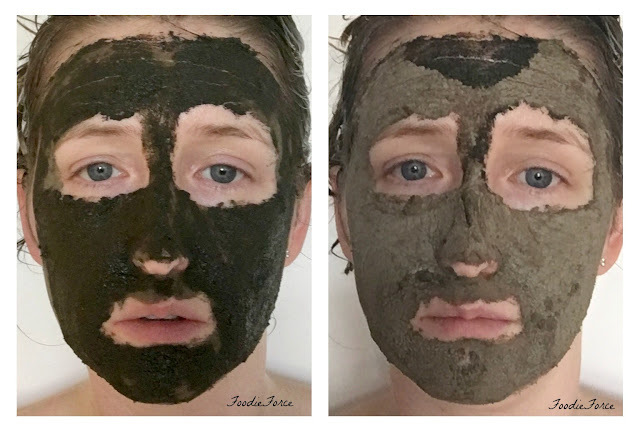 Over a forty-five minute period it goes from a wet face mask to a dry chalky consistency. There is something very therapeutic about it cracking as it dries. I couldn't hold a smile long enough for it to set! On applying the mask I could instantly feel the ingredients working; it gives off a warm slightly stinging sensation. I was concerned the first time I used it that it would dry out or react to my skin but in fact on removing the product my skin felt softer and looked brighter. Over a couple of uses my spots have improved and overall appearance of my skin is healthier looking. It has made a remarkable and noticeable difference my face glows! Whilst no one can deny the mask is expensive, you get a considerable amount of product for your money and for me it is a face mask that really works. It's also made from the finest organic ingredients, which are sustainably sourced and suitable for Vegans too. I like to follow the face mask up with The Blue Cocoon (£174). The colouring of this product is beautiful it reminds me of the blue lagoon in Iceland. It is a solid which melts on touch to a gorgeous liquid. A little bit goes a really long way, so again whilst expensive it will last an age. When applied to the skin it is wonderfully calming, it smells divine (Geranium and Lavender) and has helped to reduce my rosacea on my cheeks. It has blue Tansy in it which is a natural anti-inflammatory and has antihistamine properties. I have used this balm for just over three months, I use it at night as I find the consistency too thick to use at any other time. It also takes a really long time to sink into the skin due to the Shea butter. I was initially undecided what I thought about this product, mainly I think because of the price. It has been brilliant at hydrating my skin, if you have oily skin I'm not sure this product would work for you due to its consistency. I have definitely noticed a difference in my dark circles under my eyes and the redness in my skin has reduced. It is perfect for when you have a red or raised blemish too. I will be saving this little beauty for the winter months when my skin is at its worst and based on how little product has already disappeared I expect the jar to last me at least a year. I'm really pleased that I waited, did my research and opted for the best products for my skin type. I have been really pleased with the May Lindstrom products; I can well and truly see how they have received such attention. Next on my wish list is The Jasmine Garden Facial Spray. 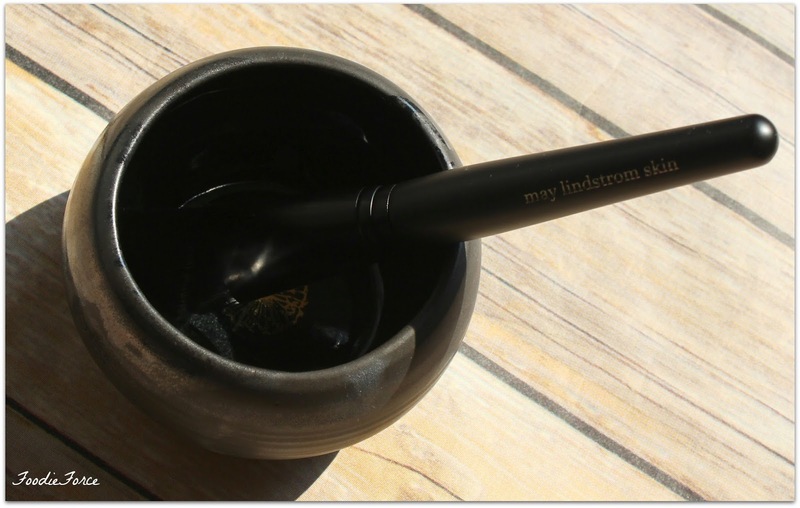 Have you tried any of the May Lindstrom products? What are your beauty must haves? This is the first time I've heard of this brand. I gotta say, I love the sleek black packaging. I love face masks, most of the time I only use individual sheet masks though, because they are cheaper. I think the blue cocoon is also an interesting product. I would definitely give it a try if only it is available in my country. It's pretty impressive if just a single product can last for a whole year! I can't believe how expensive this is! I'm glad it works for you. It does sound lovely and it's good if it lasts a long time. It must be awesome if you'll repurchase it!